Our family-run hotel provides a relaxed and friendly home away from home, perfect for taking some downtime after a day exploring the city. For your peace of mind and comfort, we’ve provided answers to some Frequently Asked Questions below, as well as a copy of our Terms and Conditions. If you have any further queries, please do not hesitate to get in touch via telephone or email or, if your stay has begun, please contact reception for help. Ground floor rooms are available at the Kelvingrove Hotel. 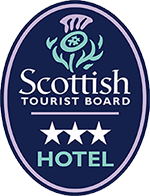 We want all of our guests to have a relaxed and enjoyable stay at the Kelvingrove Hotel and with that in mind, we reserve the right to refuse entry to any guest who behaves in an inappropriate manner. This extends to a guest or guests being under the influence of drugs and/or alcohol, abusive behaviour towards hotel staff or other guests, aggression, or unacceptable dress. For the safety of all of those staying with us we may ask a guests behaving in this manner to leave the hotel if a disturbance is caused. Should we eject a guest on these grounds refunds will not be given. The Kelvingrove Hotel is not liable for the loss or damage of any guest property during their stay caused by the misconduct or negligence of a guest or an act of God. Please use in-room safes at your own risk and note that the establishment is not responsible or liable for any damage to guest vehicles whilst staying with us. Our official website is the only booking platform where best rates are guaranteed. Bookings can be made online, by telephone, fax or email. Should you find that your preferred dates are not available through our online system, please phone the hotel to access real-time availability. You can pay a deposit for your room should you wish to but it is not essential to secure a booking. We accept cash in sterling (GBP), all major debit and credit cards or cheque with your banker’s guarantee card. We are pleased to be able to offer on-street parking at a discounted rate. Vouchers can be purchased from reception at a price of £4 for a full day and £2 for a half day.Parking is free on Saturdays and Sundays. How many stars does the Kelvingrove Hotel have?